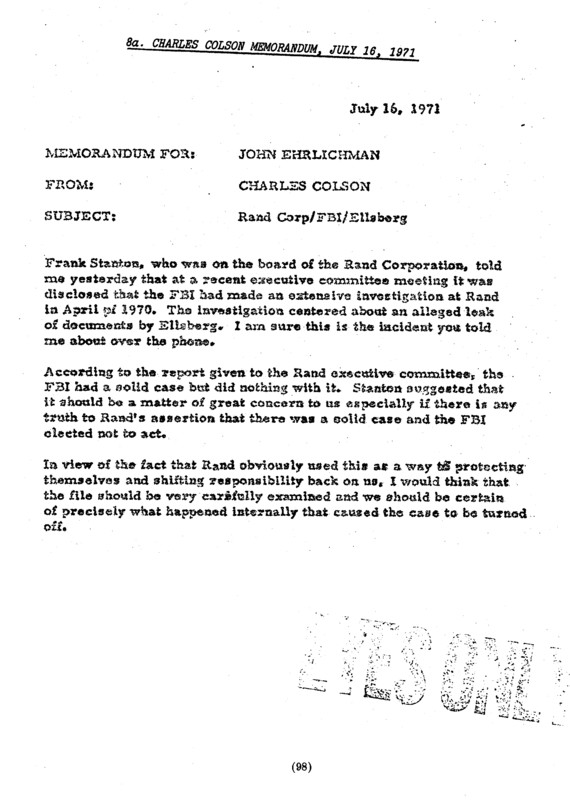 Records relating to the investigation of a 1970 leak at RAND Corporation, also known as RAND. The existence of this probe has been previously disclosed, including in the attached document from Judiciary Committee Hearings: Statement of Information Submitted on Behalf of President Nixon, Book IV - White House Surveillance Activities. I am appealing the decision to provide only preprocessed documents, and to not perform a search as explicitly requested. My original request was quite specific: "If previously released records are available, then I request a rolling release consisting of those records while additional records are located and processed for release. " I wanted to follow up on the following Freedom of Information Act request, copied below, and originally submitted on Feb. 20, 2018. Please let me know when I can expect to receive a response, or if further clarification is needed. You had assigned it reference number #DOJ-AP-2018-004659.